Situated in Nelson's prestigious Port Hills, this wonderfully comfortable, modern, self-contained Villa offers privacy, tranquility and relaxation, the ideal environment for a long term holiday. 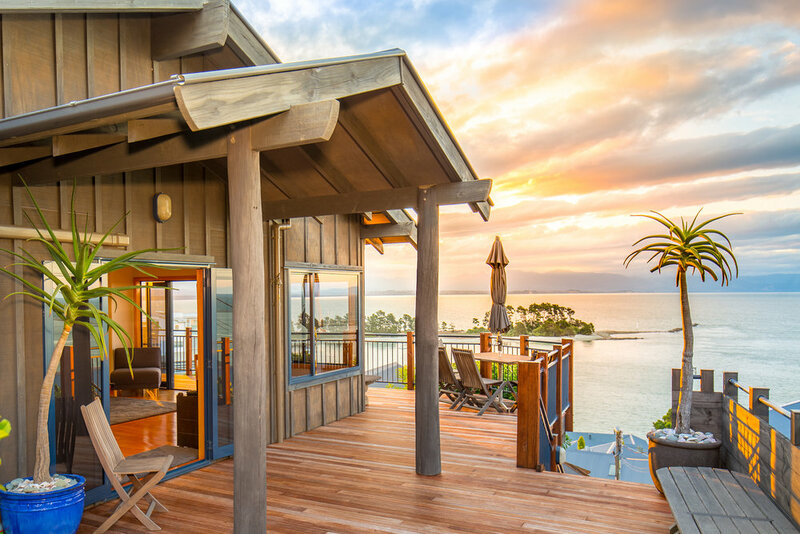 From the Villa's large balcony, experience the panoramic views of the Tasman Bay and its beaches, the activity of Nelson harbour, the Cook Strait and, across the Bay, the majestic Mount Arthur Range surrounded by national parks. Designed for your comfort, this architecturally built Villa is air conditioned and fully equipped with all modern conveniences including high-speed Internet connection. Ideal for long term stays. The large, open plan kitchen leads into a generously sized dining/living area and out onto the spacious balcony. The Villa has two bedrooms, each with a queen size bed, and each with its own luxury en suite bathroom. 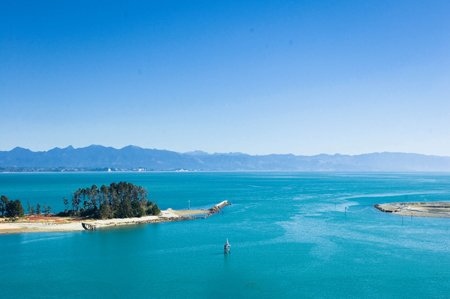 A leisurely stroll from Abel Tasman Villa takes you to the waterfront cafés and restaurants. is within 15 minutes walk along the picturesque waterfront street. A leisurely stroll from the property along the picturesque streets of this premier location takes you to the waterfront, cafes, restaurants and the beach. The city centre, offering further amenities is within 5 minutes drive from the Villa. This Villa with its central location is perfect for a relaxing holiday. It also provides a base from which to discover the many activities offered by the Nelson/Tasman region. Click here to read more about all the exciting and memorable attractions you can choose from. I can't think of a better way to experience Nelson. Abel Tasman has it all, views, accommodations, hosts, all nestled in a quaint neighborhood minutes from downtown. One of the highlights of our New Zealand adventure. The manager was extremely hospitable upon our arrival and was available if we needed her throughout our visit. The place was immaculate, the view fabulous. This was our first experience with airbnb and we couldn't have been more pleased. This is an excellent place with attention to a lot of detail. Very clean and enjoyable. “This is a great apartment with fantastic views across the harbour entrance to the Abel Tasman Park. The property is beautifully presented, extremely comfortable, and has everything you'll need for a great visit to Nelson. Sitting in an elevated position, the property is very relaxing and quiet. There are other apartments in the area but most are closer to the working harbour which can be noisy when a container ship is loading. Abel Tasman Villa suffers none of this and has ample private spaces to sunbathe or enjoy an al fresco meal on the decking that almost surrounds the property. Just one caution for the less able is that there are a lot of stairs but the effort is rewarded by the views. There is a lock up garage for the car or cycles and a lift for your luggage! We look forward to returning again. Highly recommendable - we had a fantastic time here over Xmas with our family and enjoyed the stunning view from the terrace. The host was so nice and helpful and made our stay even more enjoyable! Beautiful place, very clean, kitchen very well equipped, the host was fantastic, the view and location is stunning, beds super comfortable. It felt like home! (We spend Xmas here with the family). Just breath-taking in terms of location, accessibility to the surrounding Abel Tasman delights and of course the view from every window in the villa. Great place to stay! ABEL TASMAN VILLA IS IDEALLY SUITED IF YOU ARE LOOKING FOR A LONGER TERM, SELF CATERING VACATION IN NEW ZEALAND. THIS IS YOUR HOME AWAY FROM HOME.